If you're a cyclist than you are akin to the Greek heroic legends of old. In our books anyway. As keen 'Wheeled Warriors' ourselves, we're always on the look out for innovative cycling tech, especially that which helps keep us safe. 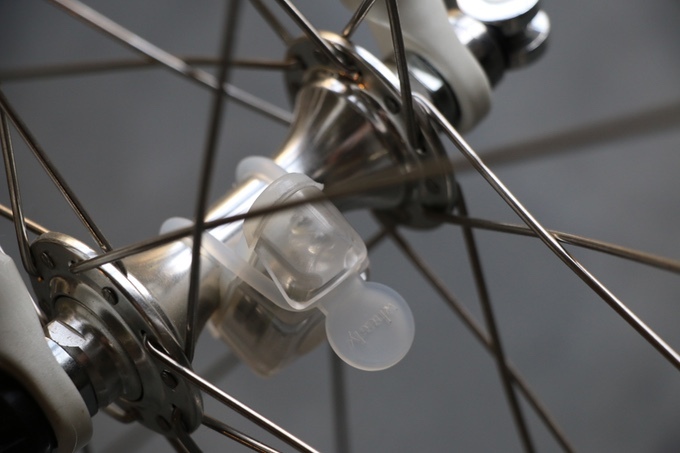 That is why Wheely, currently seeking backing on Kickstarter, caught our eyes. 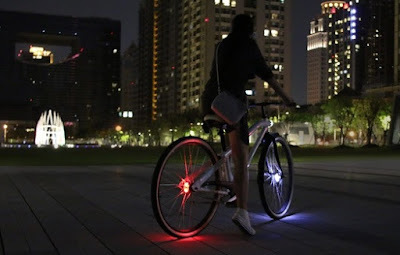 Wheely is a pair of bike lights (white up front, red in the rear) that attaches to the hub of both of your wheels and shines light in all directions. 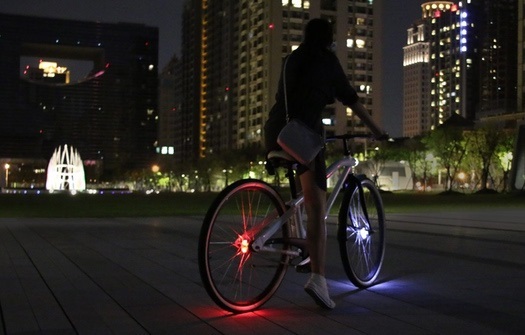 This light is then reflected on the spokes, the inside of the rim, and on the ground as you cycle, increasing your visibility. Each light unit itself is transparent, allowing it to almost fully glow with light. That means that no matter what position the light is in while your wheels are turning, light will always be projected in all directions. It seems like a very simple solution to increasing bicycle visibility. so get in on the ground floor today.